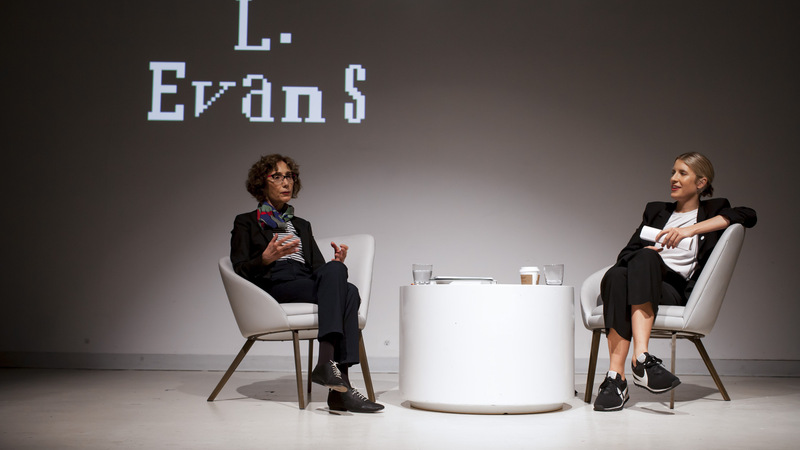 In September 2018, Ellen Ullman, the author of Life in Code, joined Claire L. Evans, a member of the band YACHT and the author of Broad Band, in conversation at the Hirschhorn Museum. 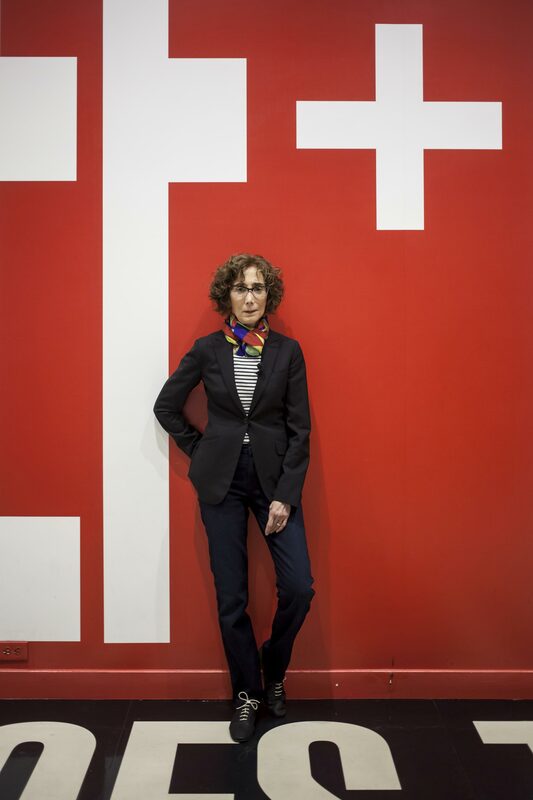 Ellen Ullman: Because we’re talking about women in technology, there is necessarily going to be talk about obstacles—how hard it is for women. I generally don’t like to talk about how hard it is for women in tech, because it’s hard for women everywhere. I don’t want to scare women away by saying, “Oh, this is the hard profession.” It’s hard everywhere. So, we’ll hear about obstacles, but Claire’s book is really about women’s successes and achievements. That’s what makes it great. We agreed on the first question, about our first computers. On to Claire. Claire L. Evans: You may have seen in my author photo that I’m hugging a Mac Classic. That wasn’t my first computer; it was actually a machine that I acquired recently, while writing Broad Band. I was interviewing all these people about their early, intimate, immediate experiences with these machines, but I was unable to fully understand and internalize those stories without having physical contact with one myself. So my partner and I got a refurbed, juiced-up Mac Classic on eBay and a NeXTcube, which was originally a $10,000 computer that the World Wide Web was developed on. 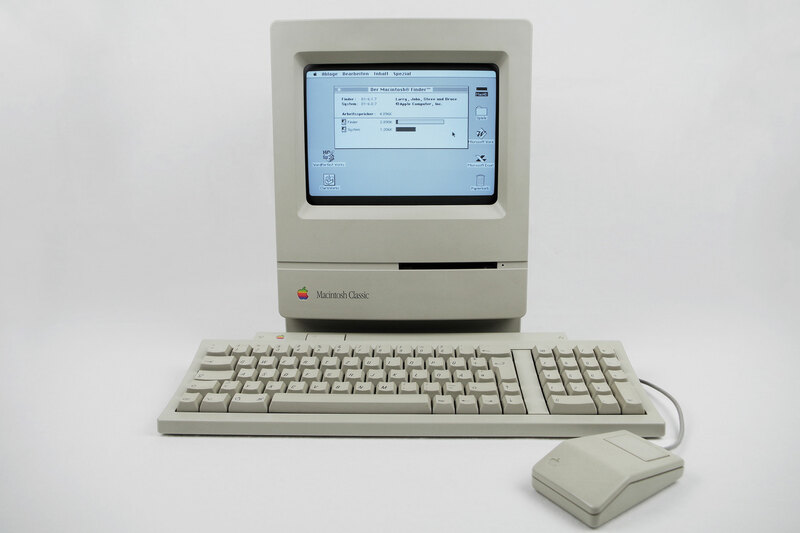 That computer in my author image is a sort of homage to a classic picture of Steve Jobs posing with the Mac Classic. I grew up surrounded by all these images of powerful men in tech—people like Jobs, in their empty mansions with nothing but a Tiffany lamp, holding their Macs. Or men in garages with haphazard, soldered-together boxes of motherboards. It made me feel that the women must not have been present. As soon as I realized that the women were there, it motivated me to insert myself into that history. Taking a picture where I’m dressed like Steve Jobs is a way of embodying an absence and like, physically disrupting expectations with my body. My real first computer was a Dell. My father worked for Intel, and he joined the company early; he worked there for for twenty-nine years, most of his career. There might have been computers before that in my household, but the Dell was the first and the best and the most powerful connection I had with a machine in my life. I remember experiencing it as like, a portal to another dimension. I was fortunate enough to come of age in the early web, at a time when it was still a wilderness that we explored by curiosity. And I never felt that the machine was for boys or for girls any more than a television or a washing machine is for boys or for girls. It was an object. An object can’t be gendered. I am very grateful to that machine for a lot of reasons. I think it taught me how to write. I came of age in a text-based—mostly—internet; we used words to make ourselves bigger, more glamorous, more appealing. Ellen, what was your first technology love? EU: I was an English major at Cornell University. I never had any thought of becoming a computer programmer. When I became a software engineer, my friends were, like, astounded. “You became a what?” After graduation, I met a group called the Ithaca Video Project—this was the age of the PortaPak, when you could do television on your own. So we made videos, local videos, political videos. Unexpectedly, I loved walking around with cables; it made me feel really butch. And I loved pushing all the buttons, I loved editing, cabling, in addition to doing—maybe I liked that more, come to think of it. Zooming forward to San Francisco. 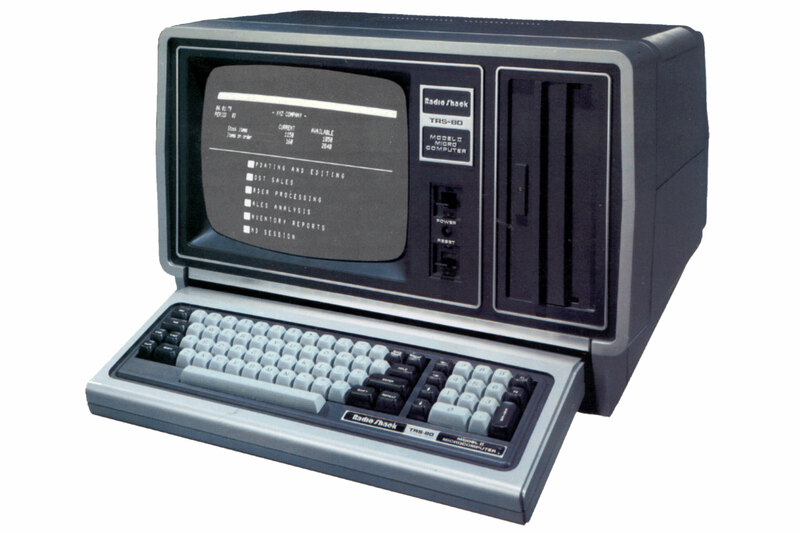 One day in 1978, I was walking down Market Street, and in the window of the Radio Shack I saw a TRS-80. And on a whim, I bought it. And I thought, well, is this like a PortaPak? You make art with it? Something political? Turns out, it needed programming. When I got my first program working, I sat back with a feeling of just, “Oh my god, it works!” And it was thrilling. I said, “Well, I want to have more of this experience.” And it was easy to get a job. It was a time when business computing was exploding, and anyone who knew what a compiler was got a job. CE: In your book, you talk a lot about the pleasures of machines: touching the rewind button, cutting the tape, putting the tape back together, editing it. Editing has a long history of feminized labor; the earliest film editors in Hollywood were women, not because of any specific affordances about the medium, but because of its craft-like qualities.The same is true for programming, too, because of a long history of women as human computers, doing computing work, and early computing’s relationship with weaving. The first punch card programs were inspired by the punch cards that early weaving machines used to create textile programs, or patterns—machines which ultimately displaced generations of women sitting together, weaving, spinning, carding wool, and being together. Another thing I think is really interesting about what you say is that you got this TRS-80, and your first questions were, “Can it make art? Can it be used for political organizing?” They’re not questions that are often posed in tech, but they get at something that I hoped to accomplish with this book: our intent, regardless of what the machine does, or was made for, dictates a great deal of what it ultimately does. The questions we ask—and the values that we bring into it—dictate our approach going forward. Right now we live in this weirdly constrained landscape where technology is primarily associated with the vast accumulation of capital and the disruption of social structures for convenience and efficiency. That seems to result from a lack of imagination with the initial framing of the questions. EU: You write about these women in the ’70s—they really were creative in their intent. They weren’t looking to create programs, or companies, although some did. Their motive was to make something useful, something creative, something political. I made a list of what they were called: “crazies,” “dreamers,” “free thinkers,” “iconoclasts,” “hippies,” “nuts.” I love that your book talks about this really diverse group of people bringing all these ideas and skills into an environment where nobody knew what anybody was doing. People didn’t come in as experts. They were non-professional programmers, and they kind of were making up the world as they went along. That was the creative part of it. CE: My initial objective sitting down to write this book was like, okay, where are the women in this history? And I found that women tended to congregate at the beginning of things, and I think there are a lot of reasons for that. When an industry is new, it doesn’t have an established order. It doesn’t have authorities. It doesn’t have a canon. It doesn’t have specific educational requirements. It’s an opportunity to establish a presence in a place that doesn’t necessarily have any specific rules about who’s supposed to be there or not. That’s where women are: at the beginning of programming, the beginning of online community building, the beginning of hypertext—all these spaces which were undefined for a long time. The consequence of that is that women ended up defining the affordances of those spaces. Women essentially invented programming. Women were the first to push for the idea that programming should move beyond what was then called the machine level, to begin to code at a higher level of abstraction, using compilers, and assemblers, and generators, and, ultimately, programming languages. As things became more established, more formalized, as the value and importance—specifically, the financial and capitalistic value and importance—of this specific technology became clear, women ebbed away for various reasons of which we are, of course, very familiar. EU: Before we get into how the guys took it over, can we talk about the two Bettys — Betty Holberton and Betty Jean Jennings. 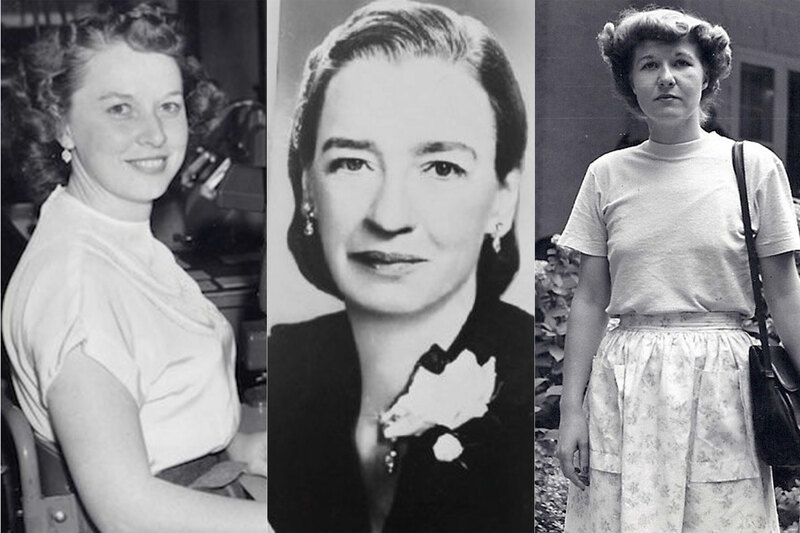 They worked with Grace Hopper, another figure, who you see as a whole person, as a goddess. Anyway, there was the ENIAC, one of the first real computers. It’s the night before a big demo, and the damn thing has a bug. It’s like an around the clock thing—no one could fix it. So the two Bettys stay up day and night, for two days, and finally, I think it was Betty Holberton, who was the one who sat back—and in my experience, debugging requires this, you have to like, sit back and take a breath—and the solution came to her. She went over to the computer. She moved one single switch; it worked. When the demonstration was reported by the media, the women were not in the pictures, their names were not mentioned. This is a really heartbreaking story for me. CE: It is a really sad story. History does abound with these kinds of tragic stories, of Herculean efforts made by women, and a complete lack of acknowledgement. The early computer programmers weren’t thought as having a job that was any more important than a telephone operator’s. It was patching cables; it was dealing with punch card papers. It was this kind of menial manipulation of the hardware, because the hardware was king and anyone who was operating the computer hardware was just helping it along. They weren’t doing a specifically intellectual job. Of course, that’s not true. Computer programming in those days was much harder than computer programming is now. We’re talking about machines with no manuals, no instructions. Programming those machines was quite literally like crawling around inside of them, becoming an active, living component participating in the machine. And not only that, but putting advanced mathematics onto this machine, by understanding how to break down a problem into its core components, as programming is, and actually transiting those into physical gestures. 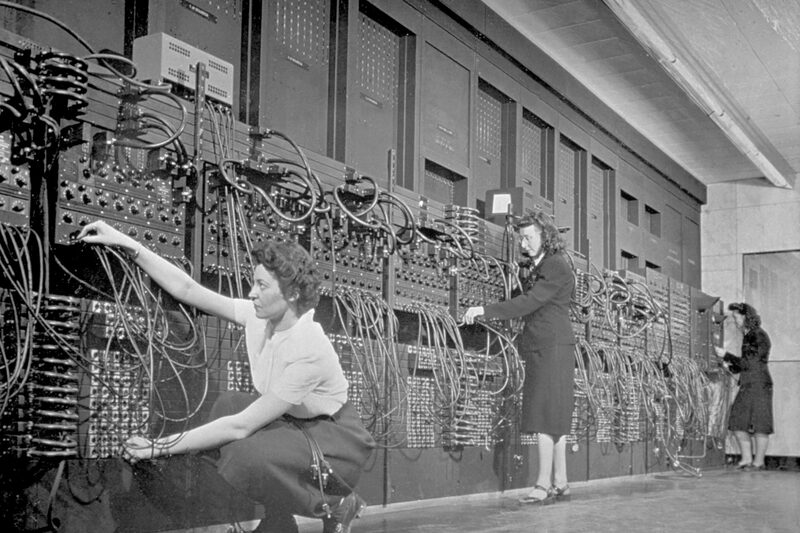 A lot of these women, like Grace Hopper, the ENIAC 6—which is the best punk band name in the world, and I hope someone claims it—had to take components apart and study wiring diagrams. They had to figure out what they were doing on their own. Yes, it is a lack of valuing women; it’s also a lack of understanding that programming in and of itself was a symbolic act of great beauty and complexity. EU: Should we go to Grace Hopper for a minute? I guess she is best known as the person who led the group that created the COBOL Programming Language. But the thing that she really needs credit for is leading the group that created the first modern compiler. A compiler takes a sort of higher level language, like SAC or C++, and translates that into what are now known as the zeros and ones, the instruction set that a particular chip can handle. That is the absolute foundation of modern programming. I mean, that is the achievement she really should be known for, because without that, everything we know about being a programmer, creating programs, and software, would not exist. CE: What’s interesting is that the development of the compiler, and other early programming languages, emerges from a lot of women being super overworked and looking for solutions. During the war, these early computing machines, like the ENIAC and the Mark II at Harvard, were developed in secret to crack codes and to do ballistics trajectory calculations, things that necessarily had to be kept secret. After the war, there was a sudden understanding that these machines could be used to make money. So the inventors of the ENIAC started the very first commercial computer company in the US, the Eckert–Mauchly Computer Corporation. Because the best programmers in the world were the women that had been doing the programing during the war, they hired them all, including Grace Hopper, Betty Holberton, and Betty Jean Jennings. And because of that, women ran the programming teams at this early commercial computing company. They wrote the instruction sets and did the logical design and not only that—because software in those days wasn’t an off-the-shelf product; it wasn’t something you could just buy and install, every computer had its own custom software installation. If an insurance company or an aerospace company wanted to buy a UNIVAC, which was the machine that they made, for some specific function, it would come with a team of programmers, usually women, who would build the software on spec for that operation, and would also maintain that software and teach everyone how to use it. In those days, software was the kind of work that required an incredibly focused, patient, diligent person. The reason they advocated so strongly for the development of things like compilers and programming languages is because they were trying to survive their job. EU: John Backus, who created the Fortran language, he’s one of my gods, one of the things he said is, “At first, you try something, and it fails. And you try something else, and it fails. And you try something else, and it fails, and you fail over and over and over and over again, until you find something that works.” Which is essentially the definition of programming. CE: I have two questions. One is about writing and one is about men. Which would you rather answer? EU: They’re very, very different parts of the brain. EU: No, it’s just—programming is a structured language. And writing is expression. You know? You can say the same thing in many different ways. You can break grammar. Poetry is absolutely the breaking of grammar. There are rules, and you don’t put up with them. The run-on sentence, a very famous writer has two pages of run-on sentences, and that’s considered some kind of masterpiece. Not to me—I prefer semicolons. Now, with programming, there is beautiful code, elegant code. The earliest algorithms are a beautiful piece of work. The people who teach it describe it as lovely. But it’s different than actually being expressive in language. One is the beauty of mathematics, and the other is the beauty of human beings being able to understand each other in very complicated ways. CE: I’m not a coder, but I read the way that you write about coding, and the agony and ecstasy of it, it is relatable to me as a writer. We go through some of the same processes, trying to translate all the messy chaotic forms of the real world into something that’s linear and comprehensible. I had hoped you would tell me that coding had influenced your writing, because you’re such an elegant writer. EU: Thank you for that, but the answer’s no. They’re different parts of my brain. There’s one part of me that loves to take apart machines and try to put them back together. The coding part is sort of obsessional in its way, but writing? It’s a different place. I think it goes to a deeper part of me as a human being. CE: It’s going to sound unrelated to anything we’re talking about now, but earlier you mentioned that when you were a younger programmer, men taught you a lot. It’s very interesting that when there were more women in computing, it was easier to ask for help, because you weren’t the only woman asking for help. EU: Exactly. I forgot to say that, thank you. I’ve been in projects—consulting projects, with research software engineers—where I was the only woman involved. They told me my job was to translate between the extraordinarily brilliant, and the ordinarily brilliant, and I was to translate for those ordinarily brilliant people. I was abused, actually, I think. Ridiculed when I made a mistake. It was very hard. When I worked in places where there were more women—actually, my first job was one of those crazy times. You know, with the four people: the art history major, a PhD in Classics, a former Sufi dancer, a French guy who wouldn’t stop smoking Gauloises in the machine room. These were people that I worked with, and because there were women around, I really was able to make mistakes and be able to just feel casual about it. CE: We talk a lot about diversity in tech. When there’s more people in the room, more people at the table, everyone feels more empowered. It helps us communicate with each other, because we have solidarity with each other in different, lateral ways. In a situation where there’s a monolithic technoculture that’s very specifically masculine, it’s much harder to come into the room and say, “I need help,” or be anything less than excellent. EU: A woman from the New York Times asked me, “Do you think women have more empathy as programmers?” I said, “Hell, no!” I think women have the right to be as nasty as men. And when that happens, we’ll feel we have equality. The ideal would be that we understand that we need both: the front-end, the people who can design, who can talk to human beings, who can collaborate, who can contact everyone, keep people in touch, keep projects on track; and the back-end, the technical stuff, the algorithm design, debugging. If only they were seen as equals, and necessary! I don’t know if women are more collaborative, or if we have been taught to be collaborative. Women at Google have complained that, though they have computer science degrees, they’re assigned to front-end development, and those are not technical tracks. It’s great we have these qualities, but the big question for me is, does it put women in a ghetto? Are we stuck in a new kind of pink ghetto? CE: It’s a very complex question. I hesitate to think that women have a natural aptitude to do anything. I think it certainly feels that way for a lot of people, and I don’t want to invalidate people’s feelings about these things, but I think women have often been pushed into those user-facing sides, because those are the places that were, like, less important. I’ve read a lot of cyberfeminist writing from the ‘90s, where the first generations of feminists on the internet were talking about how the web was going to be this naturally feminist medium, because it’s all about connection and community. I don’t doubt that it felt exciting for people who were interested in connection and community, but I don’t necessarily think that that’s where we are going to end up.